Hulu has confirmed that it is launching a paid-for subscription service called Hulu Plus, set to be made available to users on mobiles, games consoles and internet-connected televisions. Hulu Plus is set to cost US users $9.99 a month and will let viewers to watch Hulu content on iPhone, iPad, iPod Touch, PlayStation 3 and Xbox 360, in addition to watching shows via their Mac, PC or select internet-connected TVs. Hulu Plus is rumoured to arrive on PS3 in the US later in July. No word as yet from Hulu or Sony Computer Entertainment on plans to roll-out the service in the UK. We have contacted both companies for further updates on this situation, so stay tuned for updates. 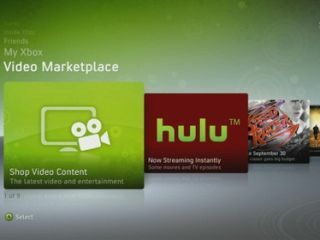 Hulu Plus will arrive on the Xbox 360 in "Early 2011" and Microsoft promises that Hulu Plus will take advantage of "the magic of Kinect for Xbox 360." "We are committed to delivering signature features to the Hulu Plus experience on Xbox 360, like controller-free navigation with Kinect and Xbox Live Parties so you can watch with friends no matter where they are." Hulu Plus is already available to US iPad, iPhone and iPod touch users in the US iTunes store as a free 'limited preview' download, to give you a teaser of what's in store if you decide to shell out for the $10-a-month subscription fee. "Hulu Plus is not a replacement for Hulu.com. Hulu Plus is a new, revolutionary ad-supported subscription product that is incremental and complementary to the existing Hulu service," writes Hulu's CEO, Jason Kilar on the Hulu blog. "For almost all of the current broadcast shows on our service, Hulu Plus offers the full season. Every single episode of the current season will be available, not just a handful of trailing episodes. Now there's never a bad time to jump in on a hot new show like Modern Family (which I recommend highly). From Family Guy to Glee, from The Office to 30 Rock, from Grey's Anatomy to Desperate Housewives, from Parks & Recreation to Parenthood, from House to Saturday Night Live, and dozens of other hits, the best time to jump in on any series is any time, and with any episode, that's right for you. "As a Hulu Plus subscriber, you'll now also have access to back seasons or full runs of some of TV's greatest shows. All nine seasons of The X-Files. All three seasons of Arrested Development. Ten seasons of Law and Order: SVU. All five seasons of Ally McBeal. Seven seasons of Buffy the Vampire Slayer, and three seasons of Roswell. Every episode ever of Grey's Anatomy and Desperate Housewives. Classic skits from the first five and most recent five seasons of Saturday Night Live. The list goes on. This is all on top of hundreds of shows already on Hulu.com today. It's a treasure chest in the cloud for TV lovers." Right now, in addition to the iPad and iPhone apps, Hulu Plus subscribers with select Samsung Internet-connected TVs and Blu-ray players can download a Hulu Plus app from the Samsung app store. Stay tuned for more updates on Hulu's plans to roll-out its TV streaming services in the UK shortly.